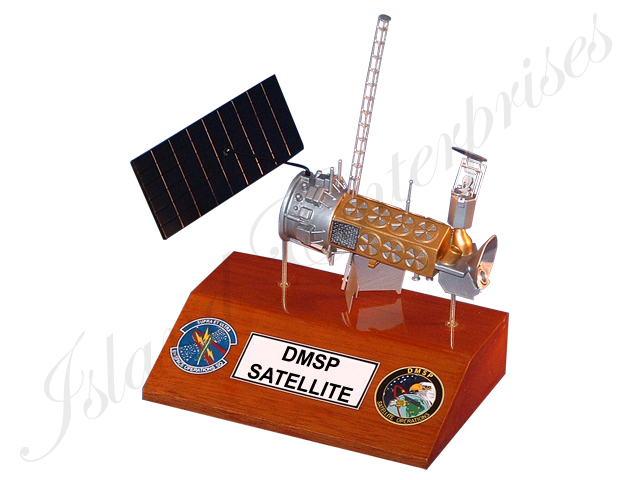 Here is a unique replica of DMSP Satellite on a Base. Check out the detail on this! The size is 8" long on the Satellite model itself, mounted to a 6" x 8" wood base.